Is there a safety feature in any brand of clipless pedals which allows the mechanism to release in the event of an accident? For example, being hit by a car in traffic while commuting, I would hope the bike wouldn't fly with me, but that I would somehow be released from the bicycle. I have only used clipless pedals in a spin class and I am hesitant to use them on the road for this reason. Does this feature exist? In my humble experience with extensive crashing during mountain biking, including a lot of over-the-bar experiences and a few cases when I broke bones, before you hit the dirt, clipless pedals magically disengage themselves. In reality, being clipped is your least problem. You really need to slowly stop the bike and then fall on a side to still remain being clipped in. P.S. Just read the comments and discovered that it is not just me who observed magical disengagement of clipless pedals in the course of a crash. The thing is, most clipless pedals let your legs out even in direction of upwards force (normal pedaling), when the force is "big enough". Now when you think about your whole body weight times speed (or more precisely speed difference between you and bike), it is quite easily enough force in vast majority of cases (as confirmed also by comments here). Imagine bike hitting the car, thus quickly decelerating, while your body continue the travel at original speed for a brief moment. The force at the pedals is just too big to keep your legs locked. It is quite possible that some pedals need bigger force than others. Clipless pedals are very safe if the cleats are properly installed. If not, they might become loose and then you will have much trouble getting your feet to detach from the pedals. If you are doubting your ability to install them properly, let a professional shop do it for you. 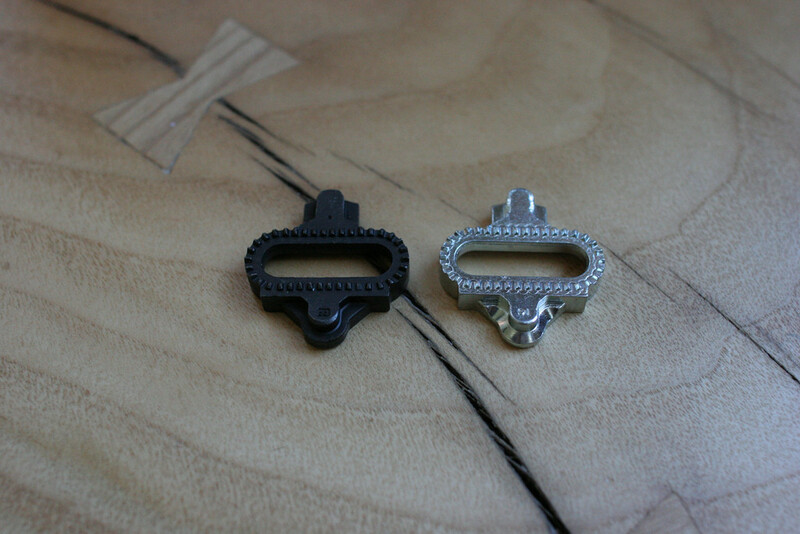 If you look at Shimano SPD cleats, the two models (SH-51 and SH-56) have different shapes. I usually advise people who are less accustomed to clipless pedals to go for the SH-56 model as they release more easily in a panic. The black cleats (SH-51) release only when pivoted in the Z axis (vertical axis) while the silver ones (SH-56) also release in the Y axis (same as pedal axis). Over time though, a more aggressive rider might want to be more secure on the pedals. Of course, the force of a crash will make any cleat release in any axis. The previous paragraph concerns willful dismounts. Other brands have completely different systems, but most have a roughly similar behavior as far as the user is concerned. Not the answer you're looking for? Browse other questions tagged safety commuter clipless or ask your own question. When and how tight should you adjust your clipless pedals? What is the safest type of pedal for all-weather city cycling?